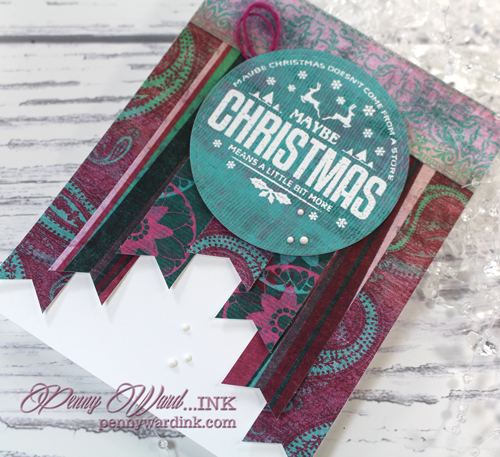 Do you need to make a lot of Christmas cards? This layout is designed to reproduce multiples very quickly. On my card I have used Digi papers...because there are a ton of Freebie papers on the internet. 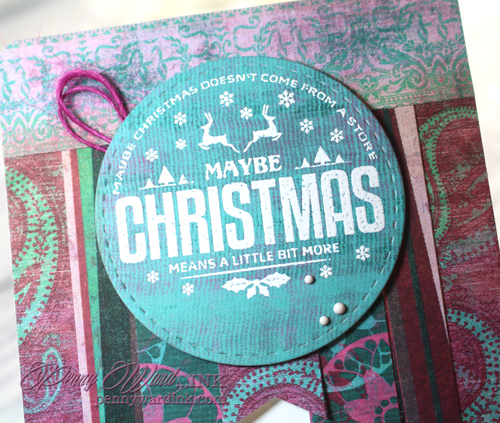 Sentiment from The Project Bin was stamped and heat embossed, then die cut. 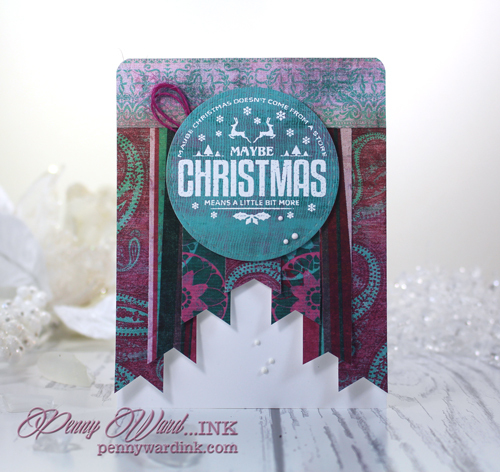 Strips of pattern paper were cut at different lengths, notched and adhere to card top. Cute little Crystal Drops were added for fun!